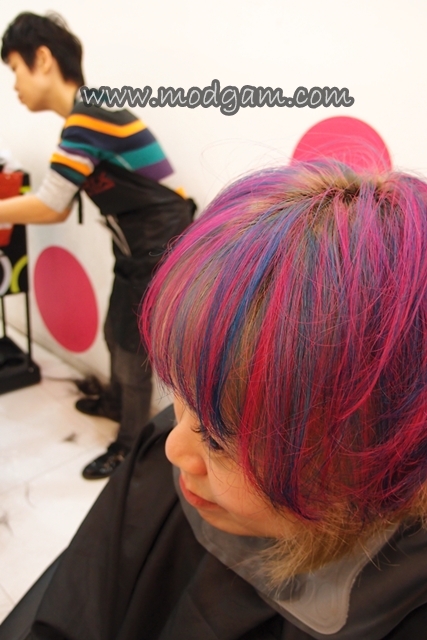 Shunji Matsuo @ 313 – My Hair Makeover; Bubblegum! 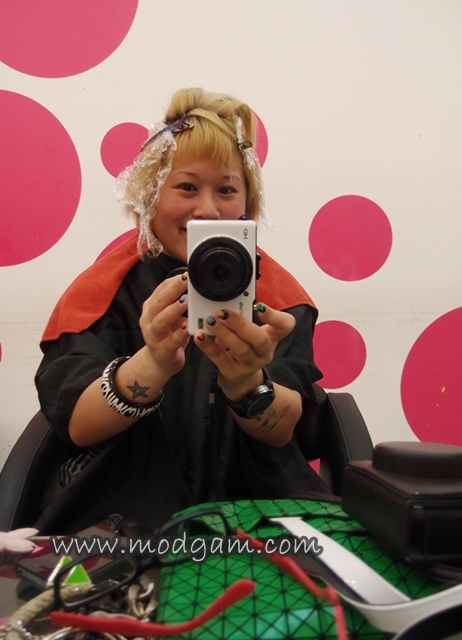 I am excited to announce Shunji Matsuo @ 313 Somerset is now my official hair sponsor!!! ~squeals in excitement~ If you have been reading my blog, you will know I have been changing hairdo as and when, one year probably 3-4 times? 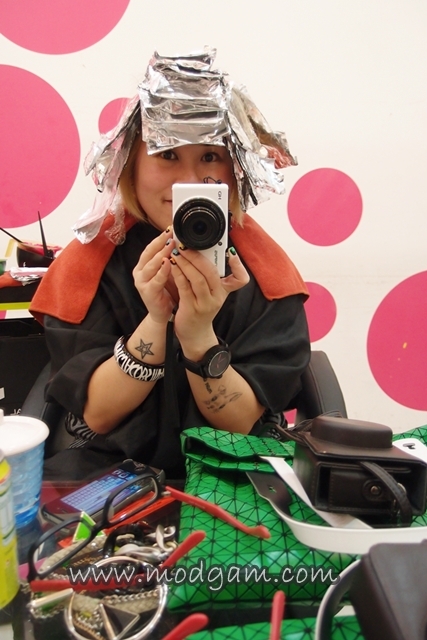 HAHAAA yes, I don’t like sticking to the same cut, the same hair color, the same style and I am now very grateful for having Shunji Matsuo and of cos, my awesome hairstylist, Jerry!! I am excited to see Jerry again cos I know he doesn’t like to stick to the conventional fashion trends and likes trying on new challenges. We were discussing colors and I thought maybe green and purple? 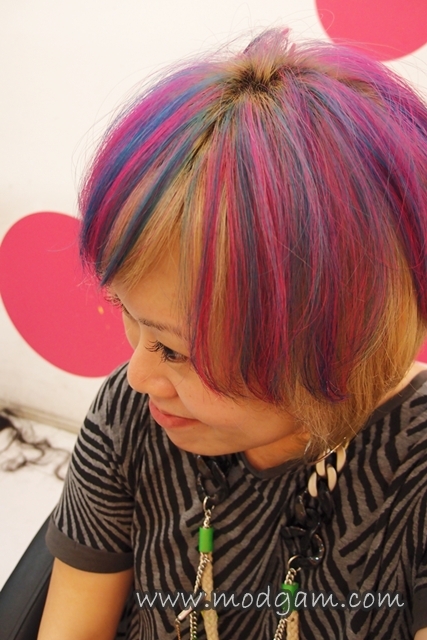 I wanted something to last my Taipei trip and still look good and Jerry said hot pink and turquoise? Sounds nice to me and so I decided to go along. 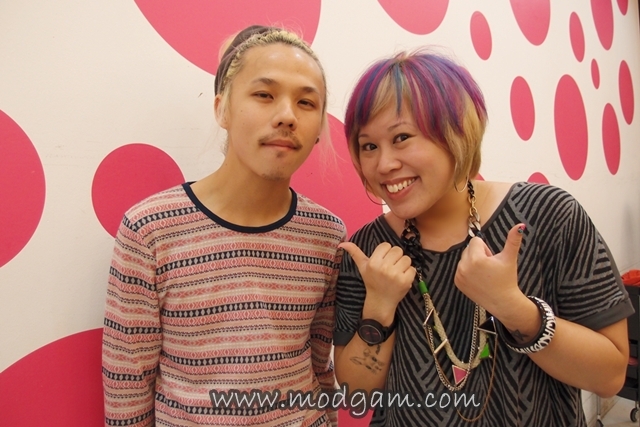 He didn’t want to do the usual dip-dyes and ombre, we decided to freestyle! LOL After thinking through, Jerry went on to do all the mixing and Charles, the guy with gorgeous turquoise/blue/blonde hair is assisting Jerry. My hair is pretty dry from the thorough bleach from my 1st visit and Jerry decided to pamper them with an awesome hair treatment! 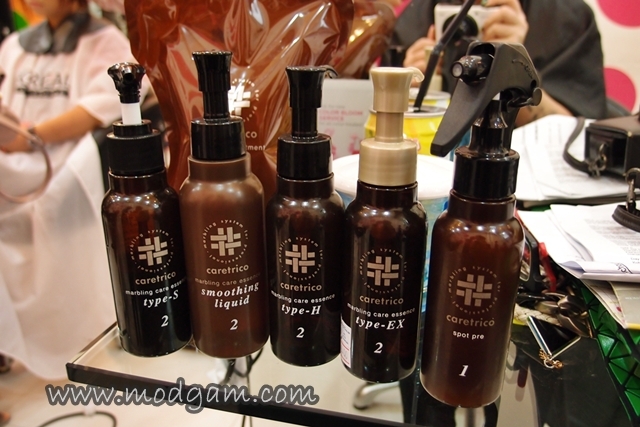 Look at the detailed hair treatment from all the steps! 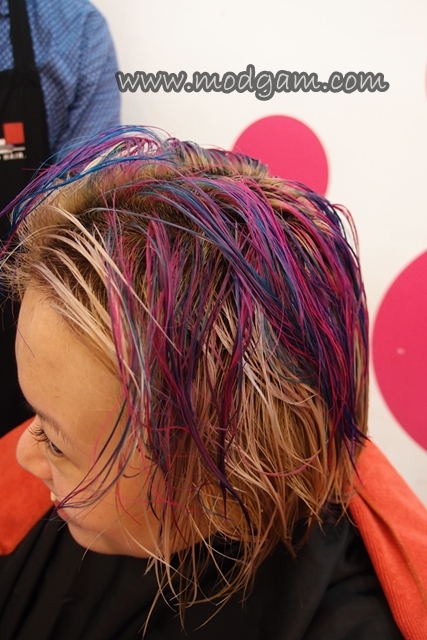 The many different steps are the strengthening, color lasting, softening and treatment locking. 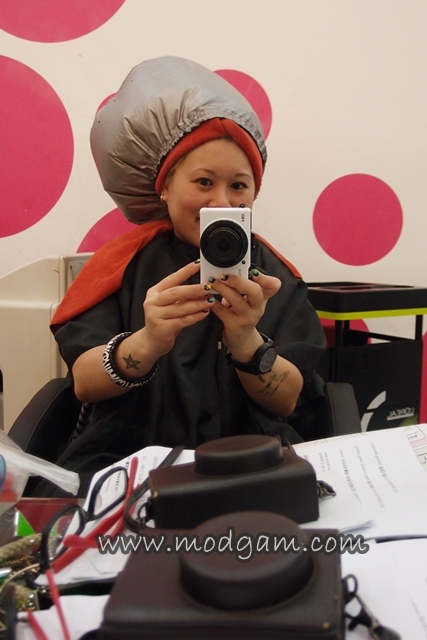 I like how all the treatment is being massaged into the hair and scalp. Steamed it for 20 minutes and the hair is all ready! Scream BUBBLEGUM! The colors are gorgeous don’t you think? I am IN LOVE! Period. 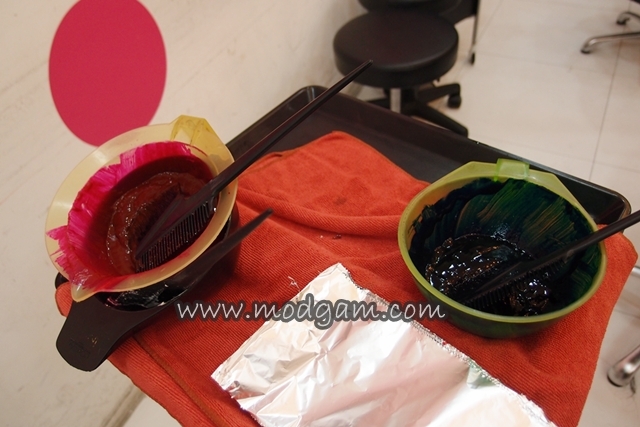 After drying the hair, the colors are even more obvious and LOUD! I am ready to rock Taipei in bubblegum style! Hahaa Thank you so much Jerry for being so creative and always giving me a look that will differ from others. I love it! If you are also looking for something different, BOOK an appointment with Jerry and discuss with him. 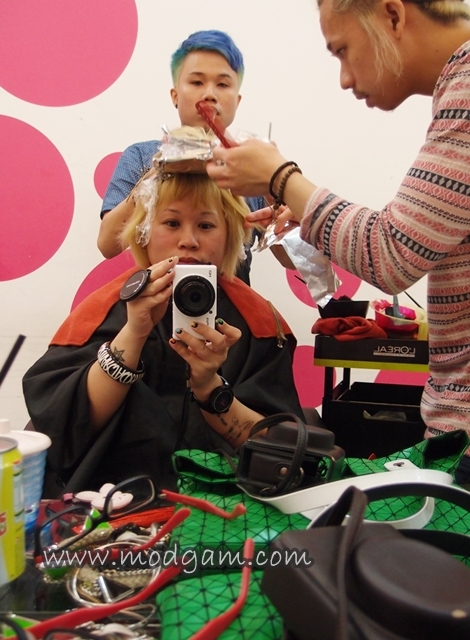 I am sure he will be able to help you and give you a new gorgeous look! 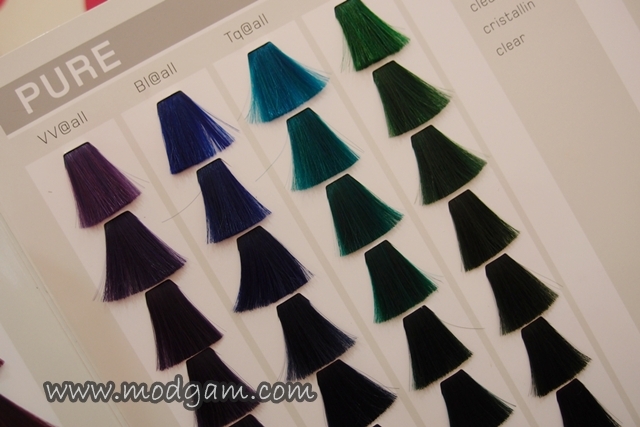 Wow,I would like also to change my color! Wow Taiwan sounds good ! Yes I do like your fb page didn’t you noticed my likes ? Was I, I didn’tknow ? Hi friend gimme five…..hahaha ! hahahahaaa thanks babe! i am loving the new look too! i never thought i will be able to carry off this new look. i’ve always had curly hair! Thank you! We both like bold colours 😀 but you’re a lot more daring than I!